Divorce is the legal dissolution of a marriage by a court. A divorce signifies a complete severance of the ties by which the parties of the marriage were formerly united. Although divorce is the most common aspect of family law, other areas are often part of every family law case. These include the custody of children, paternity, child and/or spousal support, adoption, juvenile delinquency, domestic violence, and the enforcement or modification of court orders. The dynamic aspects of each of these areas make divorce emotionally demanding and unlike other areas of law. When long-term relationships are dissolved, questions and challenges never before considered suddenly arise. Divorcing parents, for example, will ask with whom are the children going to live? How often will I see them? How will they be supported? Questions also arise regarding spousal support, retirement plans, health or life insurance benefits, and, how marital and personal property should be divided. A divorce does not always require a lawyer. However, even when a married couple initially believes they can divorce without a lawyer, emotions or unfamiliarity with the law often cause them to have unrealistic goals, priorities, and expectations. They eventually become angry and emotional. Communications between them completely stops or becomes ineffective. They realize that the problems they face involve not only the resolution of custody, property, or support issues but also issues of emotional and financial security. 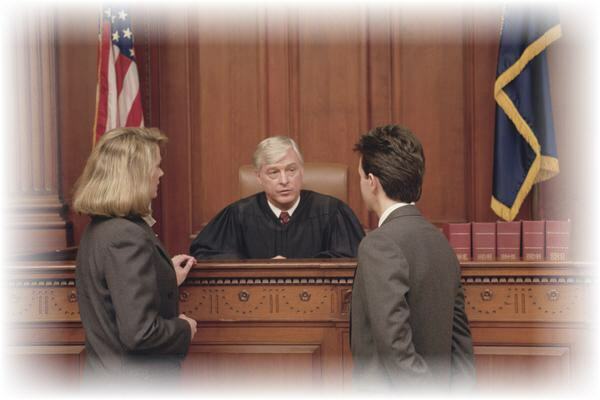 During their initial or post-judgment proceedings contested issues often arise. One or both of them may begin to dig their heels, distrust the other, refuse to negotiate, or start acting vindictively toward the other. This often leads to one party deciding to get a lawyer. This changes everything because the party without a lawyer must now also get a lawyer or proceed at a great disadvantage. As a family law attorney, I can provide you with the aggressive representation you need to protect your rights either during or after a divorce. I have regularly found myself in these disputes where the emotions run high. Prior to my becoming an attorney, I went through a divorce that began in 1997 and, because of post-divorce proceedings, lasted 14 years. This experience allows me to understand what you are going through. It also taught me how New Jersey laws can effectively be applied to the unique facts of your case. I can help you to determine what your needs, goals, and priorties are. I strive to get the best possible understanding of all the facts of your case. I do my best to provide you with ongoing meaningful input into the outcome of your divorce case making sure that you are treated fairly. I focus my energies on you, your needs, priorties and on working toward a sensible and just conclusion to your proceedings. I believe this is where I provide you with real value that surpasses the competition. Nullity — A New Jersey court may determine a marriage to be either void from its inception (ab initio) or subsequently declared void (voidable). Some reasons for declaring a marriage null are the couple's incapacity to marry due to their age or the existence of a previous marriage that has not been dissolved. Desertion — At the expiration of 12 months, a party may file for divorce if there is a persistent and willful refusal to engage in normal sexual relations. Extreme Cruelty — In the past, filing for divorce for "extreme cruelty" was limited to any actual or reasonably inferred act that endangered the life or the health of a party, or rendered his or her life one of such extreme discomfort and wretchedness as to incapacitate him or her physically or mentally from discharging the marital duties. Nowadays, "extreme cruelty" has been liberalized to include physical or mental acts of cruelty which render it improper or unreasonable to expect further cohabitation by the plaintiff with the defendant. Separation — A cause of action for divorce exists if the husband and wife have: (1) Lived separate and apart; (2) in different habitations; (3) for at least 18 consecutive months; and (4) there is no reasonable prospect of reconciliation. Note that ALL four of these conditions must exist simultaneously. The reason for the separation is irrelevant. Drug Addiction and Drunkenness — Between "drug addiction" and "drunkenness" proving drug addiction is clearly the most difficult to prove. Especially when the addicted spouse shows they are undergoing voluntary treatment. Under such circumstances the court may decide that the treatment is succeeding and not grant the divorce. The court may also ask whether the party seeking divorce knew at the time of the marriage that their spouse was addicted to drugs prior to the marriage. Proving habitual drunkenness on the other hand is much simpler. New Jersey has determined that “habitual drunkenness” and “alcoholism” are not the same. While evidence of alcoholism can proove habitual drunkennes, the opposite it not necessarily true. In the case of habitual drunkenness, a person seeking a divorce may only need to show that their spouse is merely drunk four or five times a week on a regular basis at home and in public. Proof of alcoholism is not required. Institutionalization for Mental Illness — Even where a spouse is intitutionalized for reasons beyond their control, New Jersey has determined that the non-institutionalized spouse is entitled to a marital partner. Therefore, at the expiration of 24 months, the the non-institutionalized may have a cause of action for divorce. The 24 month period must run consequetively and must accrue prior to the filing of divorce. Imprisonment — Grounds for divorce exist where (1) one of the parties is (or was) imprisoned; (2) the imprisonment is (or was) for 18 or more consecutive months; (3) the imprisonment term started after the marriage; and (4) if divorce proceedings are commenced after the defendant’s release, cohabitation of the parties has not resumed. Irreconcilable Differences — Grounds for divorce exist where irreconcilable differences have (1) caused the breakdown of the marriage (2) for a period of six months and which (3) make it appear that the marriage should be dissolved and that (4) there is no reasonable prospect of reconciliation.